The world’s first wireless fridge camera is set to go on sale in the UK next month. The Smarter FridgeCam means households will be able to check-in with their fridge at any time, and is set to reduce food waste by encouraging households to use up what they already have in. 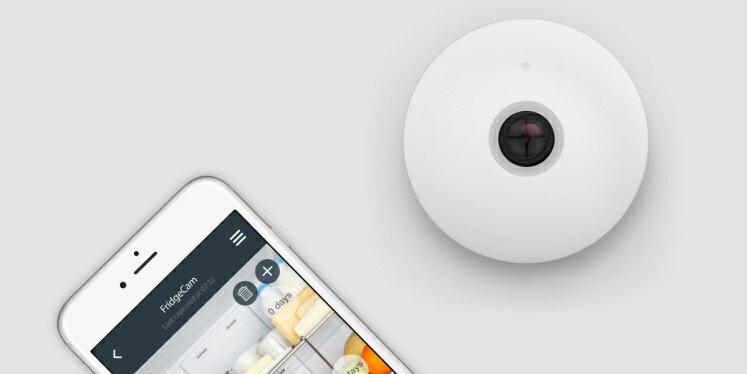 The device works by taking photos to send to the user’s phone, enabling consumers to see what’s in their fridge whilst they are out shopping. It monitors use-by dates and sends out automatic top-up reminders, so households will never be short of the essentials. It even includes a feature which suggests recipes consisting of food already in the fridge, encouraging people to eat what they have, rather than buy excess food. Waste advisory body Wrap has revealed that the average British family throws away £700 worth of food every year, but the Smarter FridgeCam is designed to save on waste and money. Smarter was set up in 2014 by Christian Lane, who says “the technology will not just help reduce food waste but it also encourages people to shop in a smarter and more efficient way”. The product, costing just £99, beats the price of smart fridges from brands such as Samsung and Bosch, the Samsung Family Hub refrigerator, for example, costing £4,499. Will the public get on board with fridge selfies if it reduces waste and keeps pennies in their pockets? Could it possibly be the innovation needed to change Western attitudes to food waste?